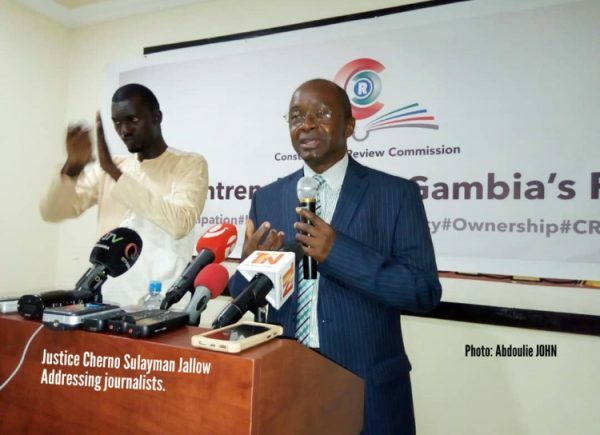 Commissioner Salimata Touray said despite the poor turnout in the West Coast and Kanifing Municipality consultative meetings ,the commission has been receiving positive responses and contributions from the public. “Last week we had poor turnout but the contributions were very good, so far we have positive responses, and we are looking forward to getting the final report to see what goes in it” she stated. She made the statement in an interview with the Daily News at Fajikunda as the commission continues the public consultation ahead of drafting a new constitution. She graded as very good how the consultation went on the provinces, the turnout is very good and the quality of participation also has been very good. When asked about the lack of interest within the municipality; Commissioner Touray said it is in fact sad that people are not coming out to participate in the process. “But it is as well sad that we don’t have the full participation we had in upcountry and hoped that this situation will be remedied before the rest of the consultation. Commissioner Touray reiterated that she can’t blame the people for not coming out because they have lot of activities in other to take care of their families adding they are urging the people to come out and participate in the process. She told said the process concerns them and it’s about our livelihoods. Madam Touray call on the Marginalized people to also come on board and raise their voices and views on how they want the government to empower them and to be governed. 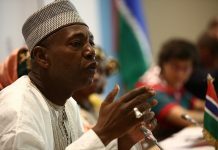 “Every Gambian has to be involved in the process because is our life and really we need to take part”. In her final words Commissioner she said after the consultation the commission will go back and start to draft their first report” once we have that, we will continue with our work because there are so many things to be done” adding after the first draft they go back to people whether they accept it or not. She concluded.